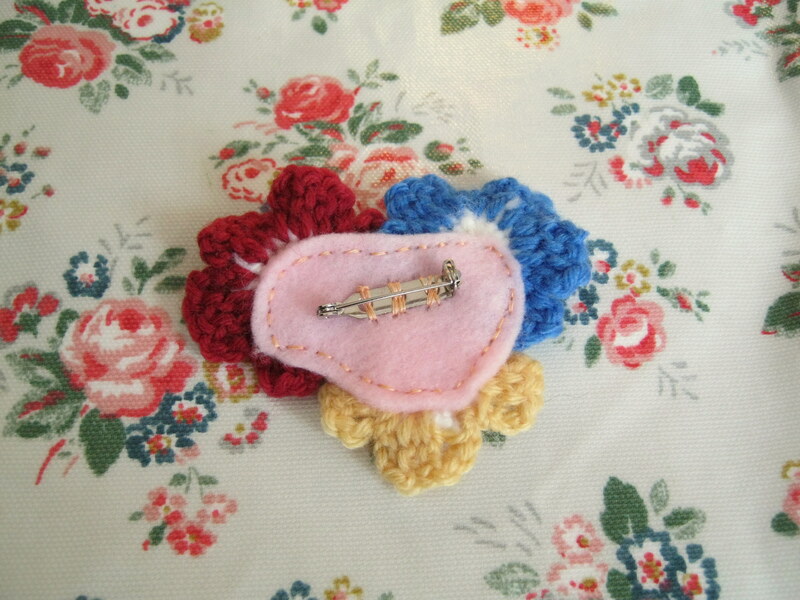 Well my lovely crafty people, I have been playing. 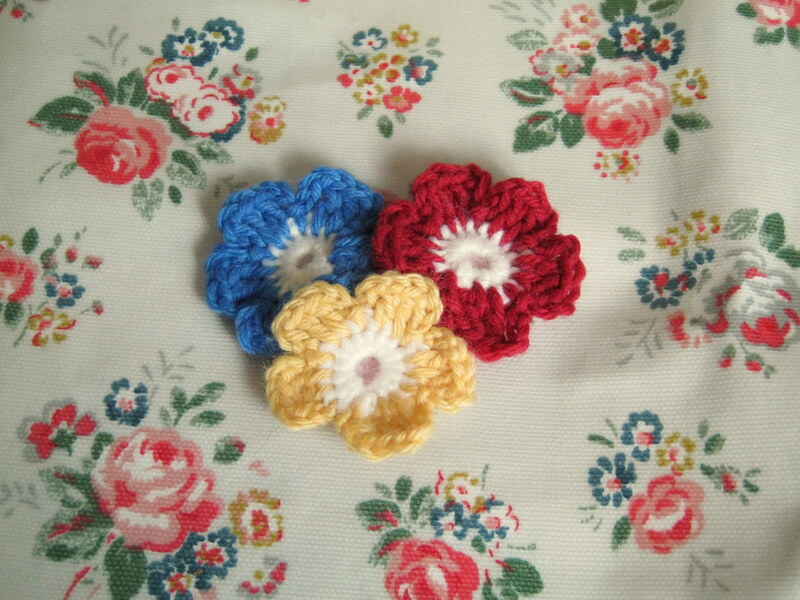 Inspired by this blog post I decided to play with a few different crochet flower brooches to jazz up a lovely but simple dress that I found recently in a charity shop. It needed something extra and I tried it with a belt, which looked really nice but made it a bit too nice to wear everyday, yet with nothing, it felt like it lacked something. I love The Linen Cat’s designs, she has a really good eye for things. Anyway, would you like to see what I came up with? 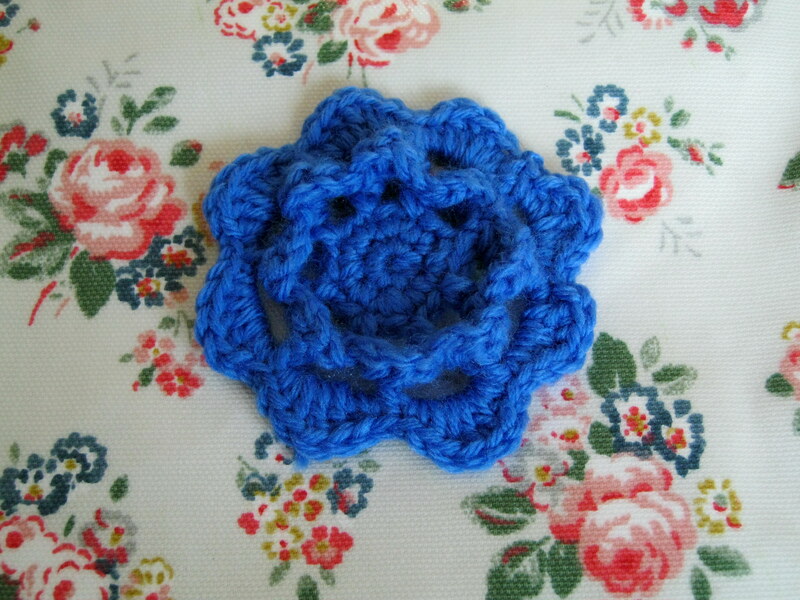 This first flower I made out of Sirdar snuggly wool DK. I used a pattern from 100 flowers to knit and crochet. I think it looks really sweet. Best of all it looks great on my dress (I’ll try to get a picture next time I wear it). I was going to put the pattern for the flowers on here as it is a standard 5 petal flower design but as I got it from a book, I decided that it was probably best not to. 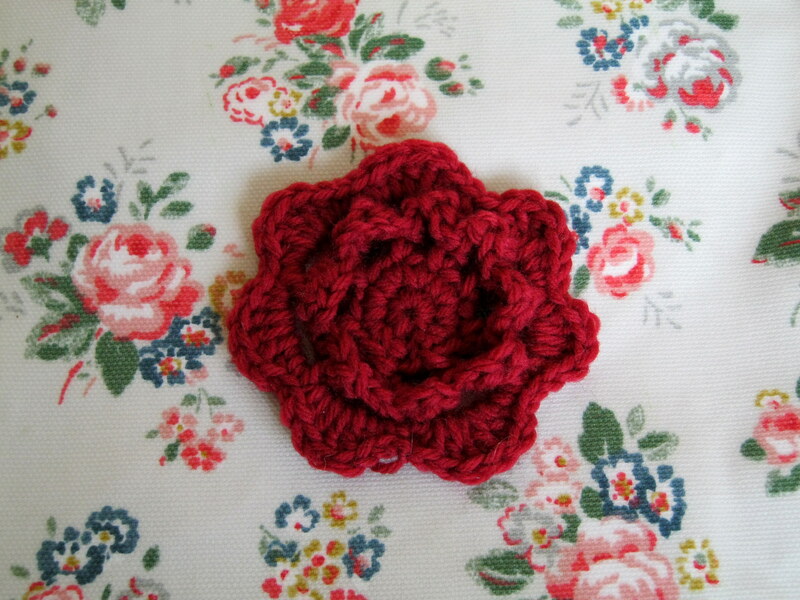 If you do want to have a go, check out this website with loads of free patterns for crochet flowers on it. My day out to see how magazines are made.